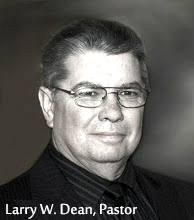 Preacher: Larry W. Dean (28), Wayne Camp (1). Book: Psalm (2), Matthew (1), Mark (1), Luke (3), John (4), 2 Corinthians (2), Galatians (1), Ephesians (6). Series: The Christian Life (4), Repentance (3), Worship (1), Featured (6), Great Sayings in the Gospels (15). Preached by Larry W. Dean on December 29, 2013 (Sunday Morning). Ephesians 4:30-5:17 (Part of the The Christian Life series). Preached by Larry W. Dean on November 24, 2013 (Sunday Morning). (Part of the The Christian Life series). Preached by Larry W. Dean on November 17, 2013 (Sunday Morning). Ephesians 4:1-16 (Part of the The Christian Life series). Preached by Larry W. Dean on November 10, 2013 (Sunday Morning). John 8:21-47 (Part of the Great Sayings in the Gospels series). Preached by Larry W. Dean on October 27, 2013 (Sunday Morning).